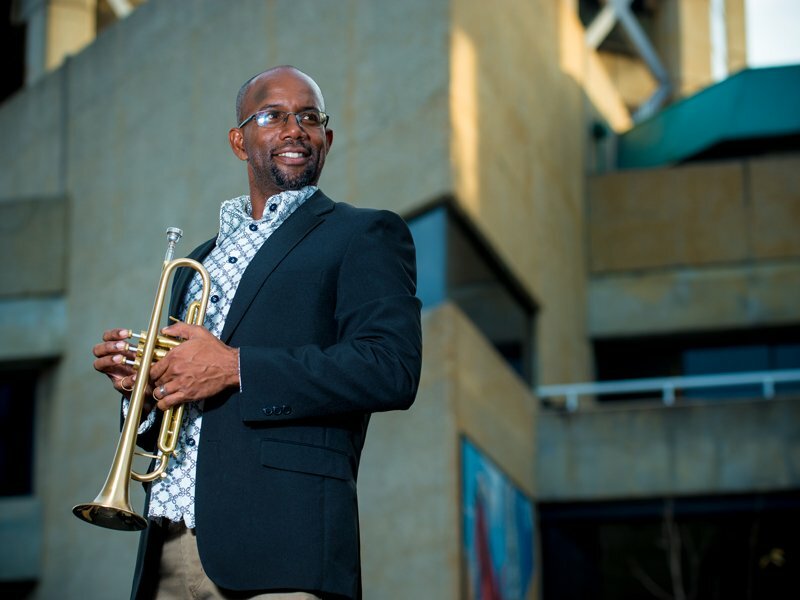 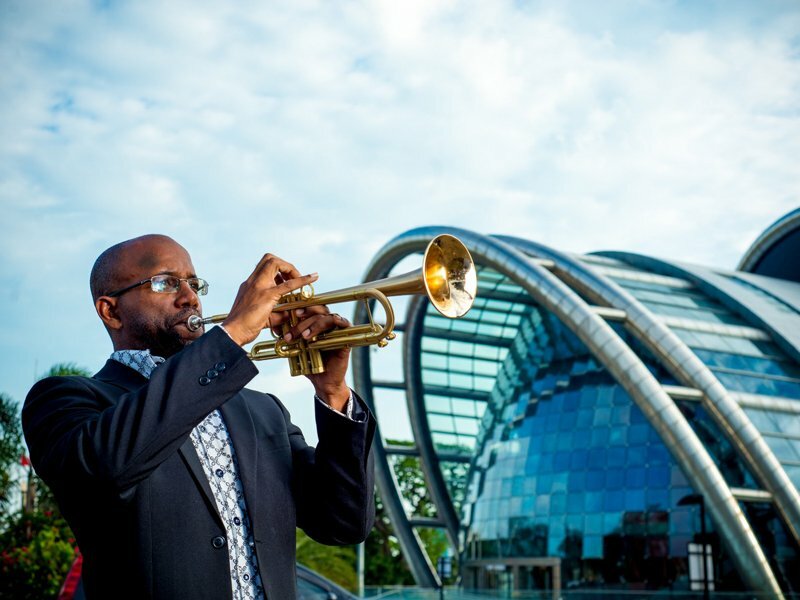 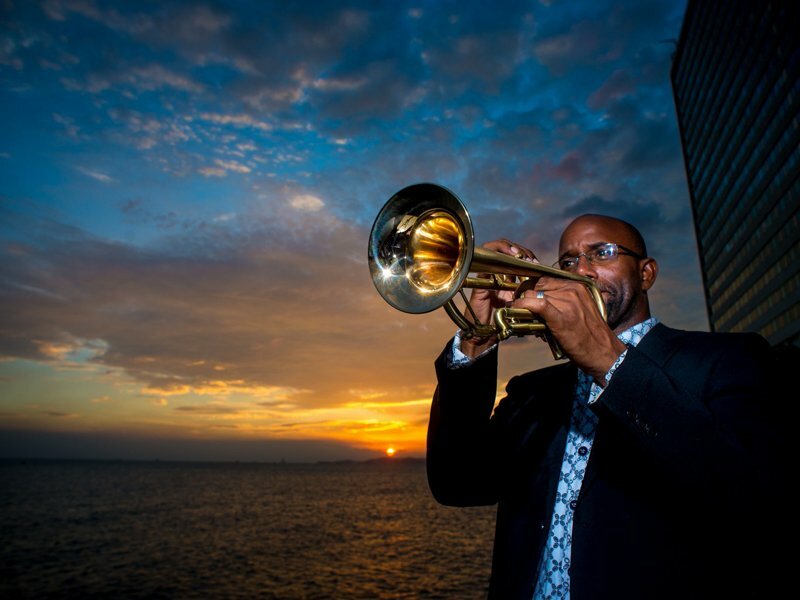 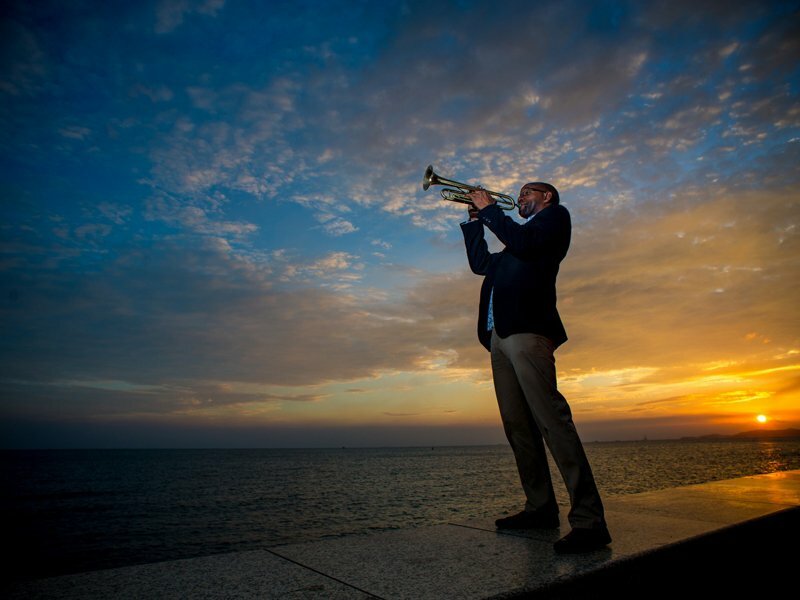 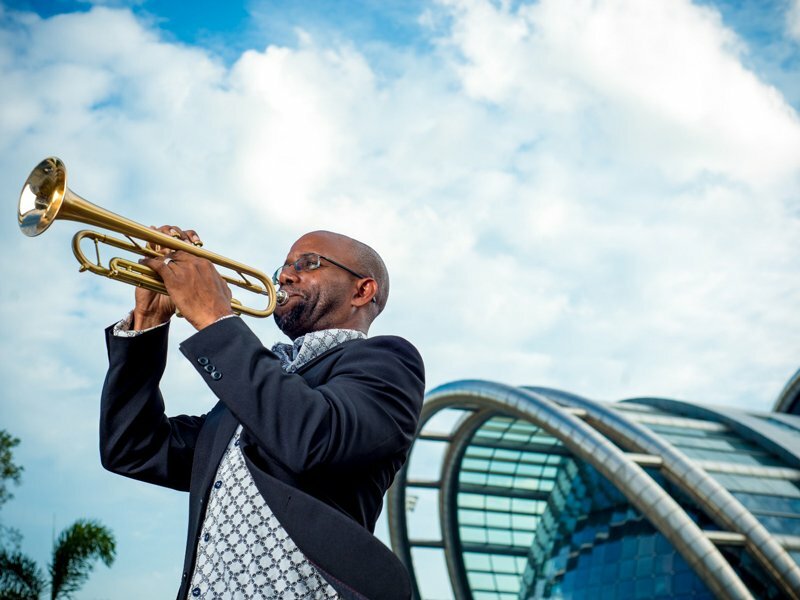 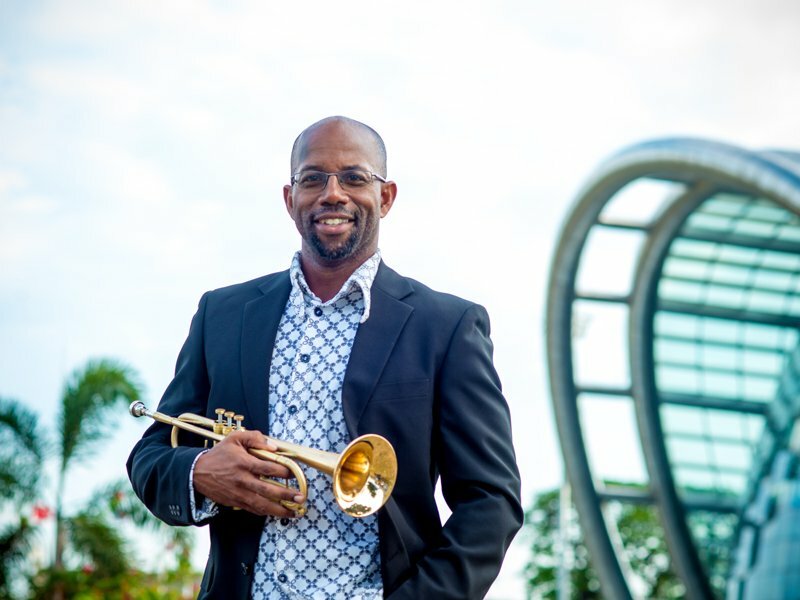 Rellon Brown is a highly versatile trumpeter, musical director, lecturer, arranger and composer who hails from the islands of Trinidad and Tobago in the West Indies. 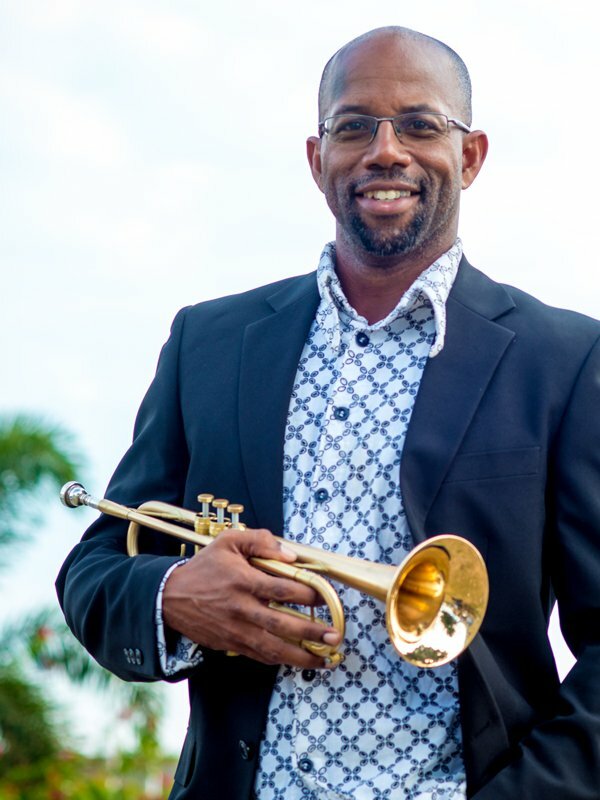 The son of a guitarist, Rellon was first heavily influenced by his father’s diverse long play record collection which included recordings by calypsonians Kitchener and Sparrow, Reggae by Bob Marley and a plethora of Rhythm and Blues and Jazz from the 60’s and 70’s. 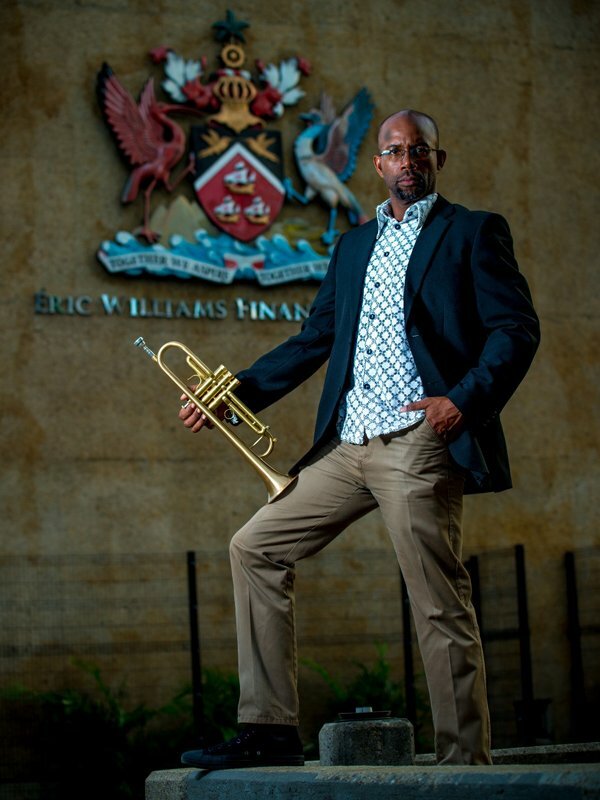 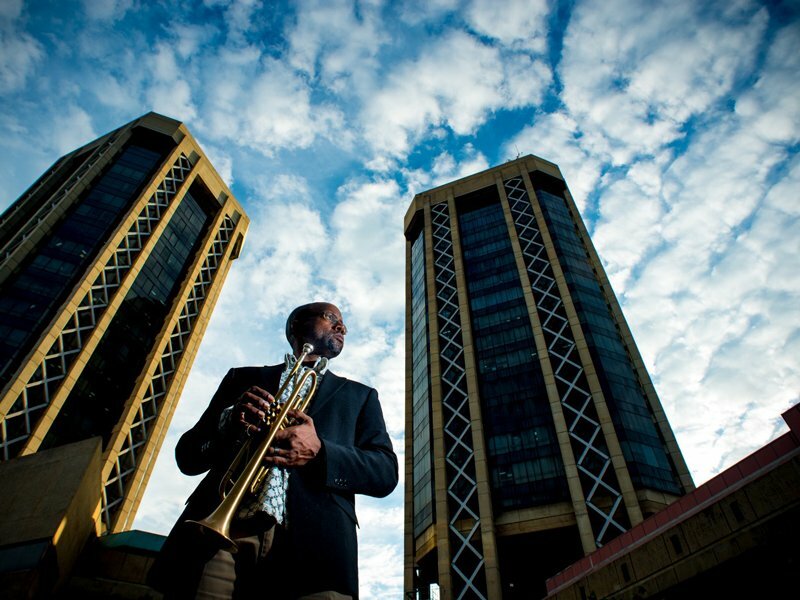 Having sung calypso in primary school, Rellon was first attracted to the African drums at age 20 and at 23, while at university studying music he heard the opening to Miles Davis’ “So What” solo and decided to teach himself the trumpet in 1997.